E19 - Ennis Esmer "It Takes Two to Kill Yourself With a Katana"
Are you a Geek? Maybe a Nerd? Well, have no fear! We've got you covered here at Nerks of the Hub! Tune in to see which of your favorite celebrities we're chatting with, and what they have to say! A podcast for passionate fandoms, we are fans asking the questions you want to know! Follow us on Twitter @nerksofthehub, we love to hear from our listeners! Nerks Uber and Kelsey chat with Tamsen McDonough, the voice and personality behind Lucy, the more than just a little quirky ship on Killjoys. We chatted with Tamsen about bringing life to a not living personality, her burgeoning writing career, and of course, our mutual love for Johnny. Nerks Kelsey and Alex talk to Saniyaa Sidney about her growing acting career, working with Mark-Paul Gosselaar and her new hit show, The Passage. Saniyaa shared with us what it's like to work on set with Virals and how she holds onto her childhood, even while working full time. Actor, comedian and all around swell chap, Tim Downie chats with Nerks Uber and Heaven about Outlander, Shakespeare and the charities near and dear to him. Freshly served with a side order of breakfast berets. Nerks Alex and Heaven chat with creator Mickey Fisher about his shows The Strain, Extant and Reverie. Get a sneak peek behind the curtain at how your favorite shows come to life. Hosts Kelsey and Uber chat with Killjoys star Sean Baek about his role as Fancy, complicated storylines and the upcoming season 5! Hosts Uber and Heaven chat with Brad Wright about the Stargate franchise, Travelers Season 3 (with mild spoilers) and teasers for a potential Season 4. Nerks Kelsey and Deb chat with the intensely talented Milauna Jemai Jackson. Milauna's infectious laughter kept them rolling through talks of her time on Cinemax's Strike Back, How to Get Away With Murder and Chicago PD. Milauna talks about her enlightened approach to life, and her desire to leave an impact with every role she takes. Nerks Uber and Heaven chat with the incomparable Thom Allison. Thom dishes on playing the super sassy Pree from Killjoys, singing in Cabaret, and being fully glamorous. Thom makes us swoon with his message to fans and rounds off with a blessing to our ears (yes he SANG!). Hosts Kelsey and Alex chat with Patrick Gilmore, the lovable and hilarious star of Netflix's Travelers about his career, flying airplanes and meeting Harrison Ford. Learn about his time on Stargate Universe and what would make a host ask him to lie to them! Nerks Uber and Kelsey chat with prolific Christmas movie producer Markus Bishop-Hill about his work for Lifetime and Hallmark. They chat about what gives a movie "Christmas magic", using film to bring families together, and the weirdest fan interaction yet! Hosts Kelsey and Heaven chat with Dallas Barnett, star of fantasy web series AFK. Dallas charms with tales of shooting The Hobbit, playing an adorable Orc in AFK and moving beyond school bullying to walking the red carpet. A former radio personality and current voice actor, Dallas is a gem to listen to! LeAnne, Heaven and Uber talk about what’s happened so far on this season of Outlander, their favourite bits, and what they’re excited to see next! Follow us on social media @nerksofthehub and subscribe to the podcast! Hosts Kelsey and Uber chat with Blindspot star Ennis Esmer about his role as the hysterical Rich Dotcom, stealing scenes in Red Oaks and playing a pompom in Little Big Awesome. Ennis shares his compelling thoughts on diversity in casting, being open to other perspectives, and... pushups? Hosts Twiz and LeAnne chat with the writer/creator of Final Destination, Jeffrey Reddick about his career, inspiration, and love of all things Horror. Jeffrey tells us about what's next, including his work on Midnight, Texas! Heaven and Kelsey chat with Guillaume about the incredible momentum behind his burgeoning career, his time on Poldark and what's ahead. Guillaume's relentless energy is inspiring. His next stop? Listen to find out! Up and coming British actor Louis Findlay chats with Nerks Kelsey and Deb in this new episode about being a working-class actor in the UK. Louis shares his fight with anxiety and how he used that to create his award-winning short film "Days to Come" and where he sees himself going from there! Adams chats with us about who to blame when your favorite character dies, season 5 of Killjoys, and writing complex characters. We welcome back Sam Benjamin as he kicks off crowdfunding for his British superhero web series The Few. The Nerks chat with Paul Ogola about Sense8, Blood Fest, photography, writing and bringing Kenyan films to the rest of the world, as well as a little bit about Kenyan culture! Come and listen to our chat with Paul, and Nerk with us! Please follow our social media, as well as Paul's. The Nerks chat with Beau Smith, "The Intersection", about creating the iconic character of Wynonna Earp, his comics and their intersection with the Syfy show. Follow us on Twitter @nerksofthehub and subscribe to our podcast! Also, follow all of Beau's social media. Come Nerk with us! Kate chats with us about The Barge People, Horizon, her love of Lara Croft and her goal of helping other artists through #ShowreelShareDay! 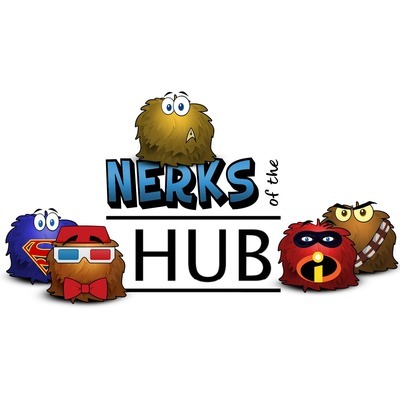 Interact with us on Twitter @Nerksofthehub with suggestions, feedback and more! Nerk proudly! Nerks Kelsey, LeAnne and Deb dish about Fall TV and what they’re most excited to see in this special Nerks of the Hub episode! New and old we’re ready! What are you most excited about? Tell us on Twitter @nerksofthehub. Nerks chat with Maximillienne Ewalt about her experience on Sense8 and life, edited with new information about the Mural project. Nerk away with our new episode! Sonalii chats with Nerks about The Outpost, her award-winning short Mamba, and web series Voodoo Vanessa. We fan cast her Vanessa's love interest, talk geeky games and our mutual love of fantasy. Our Nerk hosts chat with British actor Sam Benjamin about Doctor Who, his web series The Few, Justice League and more Nerk things. Do you know how he developed his taste for comic books? He told us that! Come find out and Nerk away! Nerks chat with Scott Kyle about Outlander, soccer, passed on wisdom from Grandma AND lets us in on his newest project. Hear it here first, in this week's episode! Chad Michael Collins chats making his Sniper movies, Oncer fans, werewolf bikers, D&D and all sorts of Nerk things with hosts Kelsey and Heaven! Our hosts even deemed him a true Pegasus! Come Nerk with us! E03 - Max Osinski: Hero, Hitman... Feline? Fellow Nerk (and all around awesome fella) Max Osinski chats about past, present, future and dream projects with us, including his role as a S.H.I.E.L.D. agent. Thanks for those detailed Season 6 spoilers, Max! We kid about that last part, of course. That said, his fan theory game is strong! In this episode, host Kelsey and writer Heaven from TV Series Hub talk to the amazing Jeff Teravainen about everything from acting and fans to lighting yourself on fire on FarCry 5 and voice work! Nerk away! In this first episode of Nerks (Geeks+Nerds) of the Hub we discuss fandom, TV show cancellations, what can a fandom do to save its favourite show and more with gest Joe Mallozzi, from Dark Matter and the Stargate Series!